There is an increasing focus on the development of solar energy in India for a variety of reasons, including our limited conventional energy reserves, their local environmental and social impacts, energy security issues, energy access, and tackling the challenge of climate change. 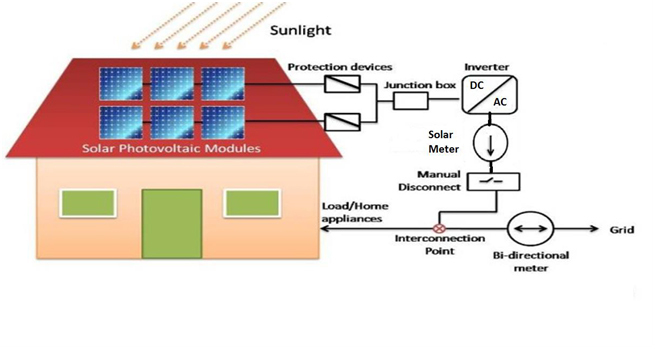 Solar photovoltaic (PV) technology, in particular, is emerging as an extremely attractive option, particularly with abundantly available solar resources, modular technology and zero fuel costs over 25-30 years of the project life. Considering this, the Government of Uttar Pradesh has recently expressed its intent to achieve 10700 MW of solar capacity by 2022, of which 4300 MW is expected to be achieved through decentralized and rooftop-scale solar projects.  The power generated by each individual household, industrial building, commercial building or any other type of building can be usedto partly fulfill the requirement of the building occupants and surplus, if any, can be fed into the grid. The roof-top SPV systems on building’s roof space can be installed to replace DG gensets for operation during load shedding. The price of power generated from solar plants installed today is at par with or lower than the commercial tariff for consumers. 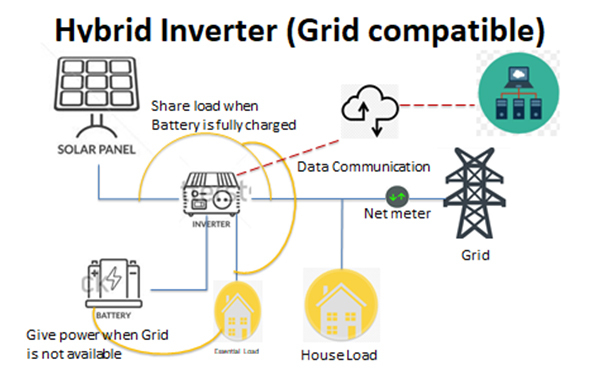 in grid connected rooftop or small SPV system, the DC power generated from SPV panel is converted to AC power using power conditioning unit and is fed to the grid either of 33 kV/11 kV three phase lines or of 440/220 Volt three/single phase line depending on the capacity of the system. The rooftop SPV system can be installed in two configurations, namely (a) as a battery backup system or (b) as a grid interactive system. In urban areas the grid interactive systems are more feasible than the battery backup systems as grid power availability is more in urban areas.Figure below illustrates the flow of energy in a grid interactive rooftop SPV system under different operating conditions.Wherever battery is not envisaged, the solar system can be directly connected to consumer AC bus and the total energy of the solar system will be supplied to consumer/grid depending upon the requirement of the consumer.